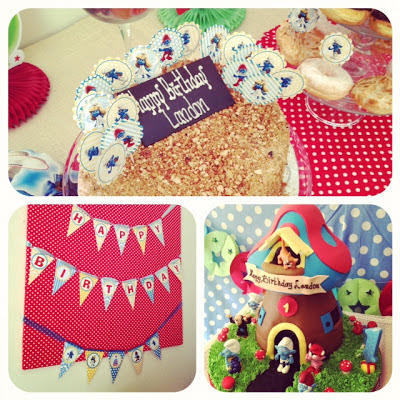 Neverlostneverland: What a Smurf Birthday! This one is a late post, but I really like the pictures, so I'm just gonna post it anyway. 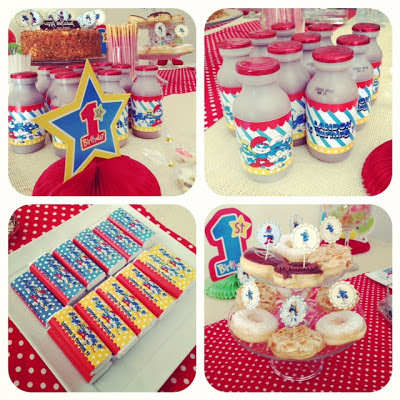 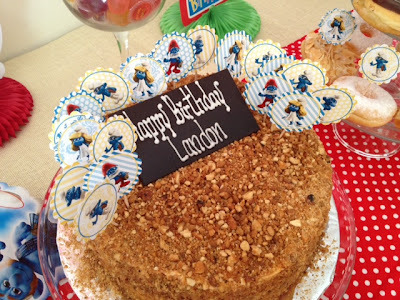 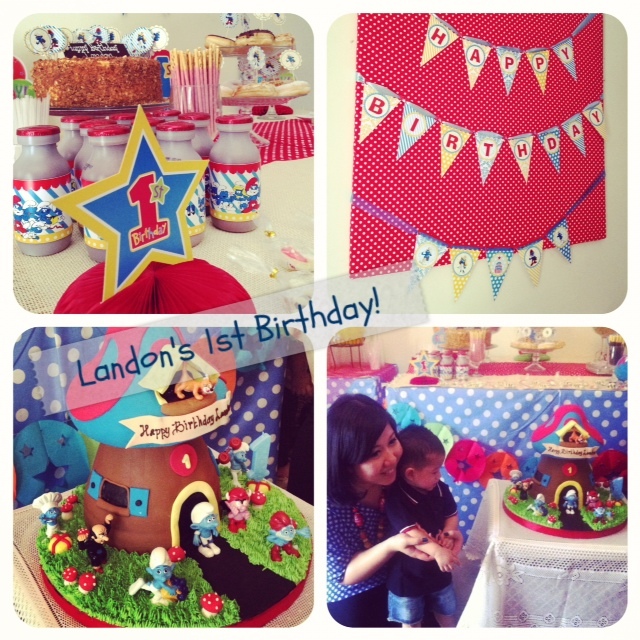 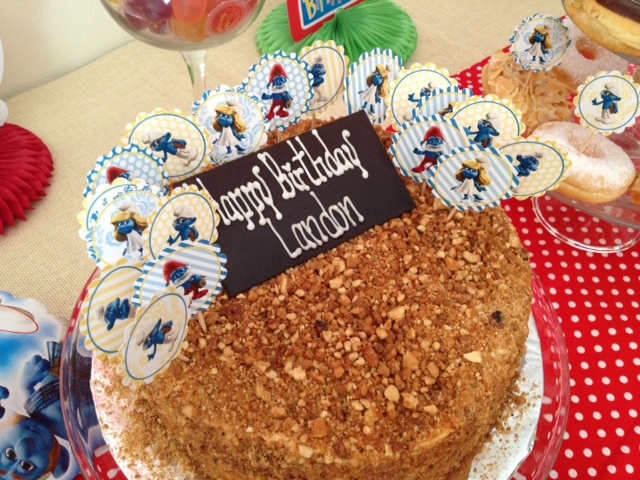 Some months ago, Landon, the son of Pak Teddy's cousin, or my nephew- for short, was having his 1st birthday party. 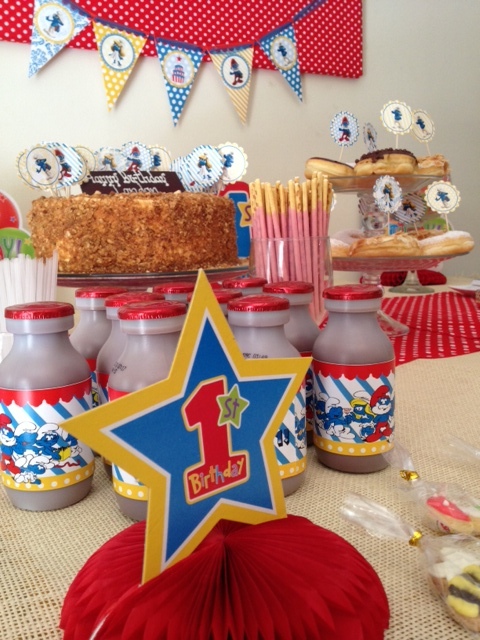 The theme was Smurf. 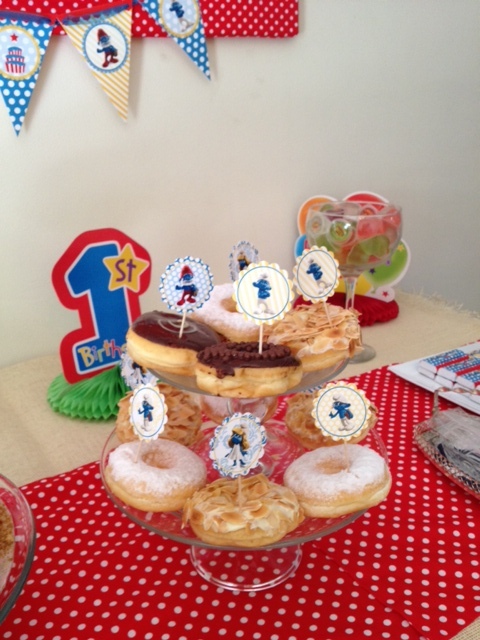 Wulan, the mom, prepared a very cute Smurf dessert table & Smurf birthday cake. Instead of a birthday cake with fondant decoration, Wulan ordered a red velvet cake & decorate it with small Smurf picture which made it more classy, in my opinion. 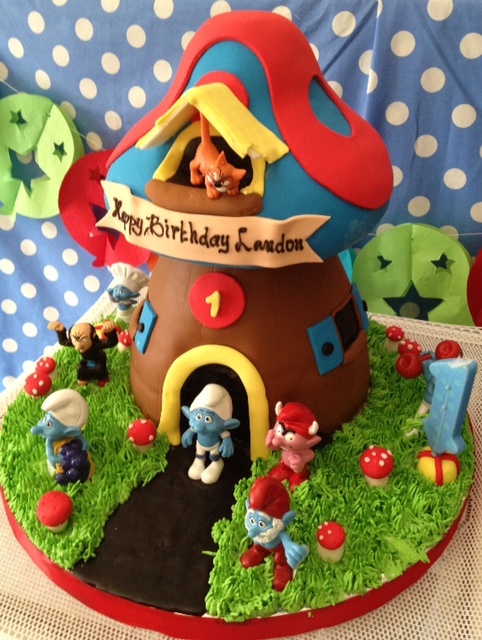 Then, her friend gave Landon a Smurf's mashroom house made out of fondant as a table decoration. 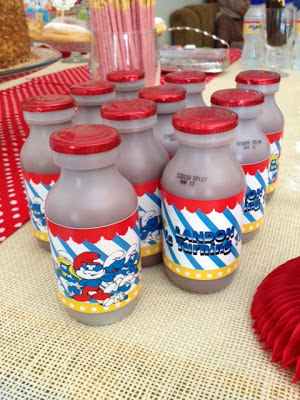 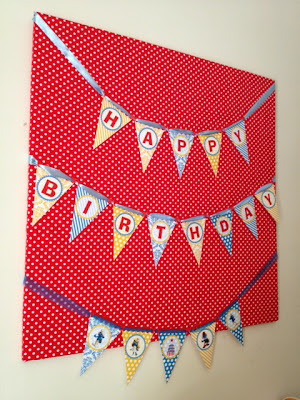 Overall, the bright blue and red combination looked really good on the table. Have a Smurf 1st Birthday, Landon! Top 10 Blur Songs.. Kinda..